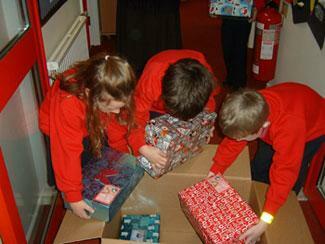 The school has again joined in with Operation Christmas Child an appeal by the charity Samaritans Purse. Families have been extraordinarily generous in their response. Altogether we collected 39 shoeboxes filled with goodies for children around the world who are not as lucky as our own children. This has provided a good opportunity for our children to think of others.